Jun 25, 2017 Update: Car S/N (#2-106-7 from under-seat ID plate "Car No.") and Controller Model and S/N make it clear that this is a 1917 Model 27 (vs 1915 Model 15 or 1916 Model 22). It is one of the first Model 27 cars made and indeed the 6th of over 800 Model 27 cars made by Milburn. 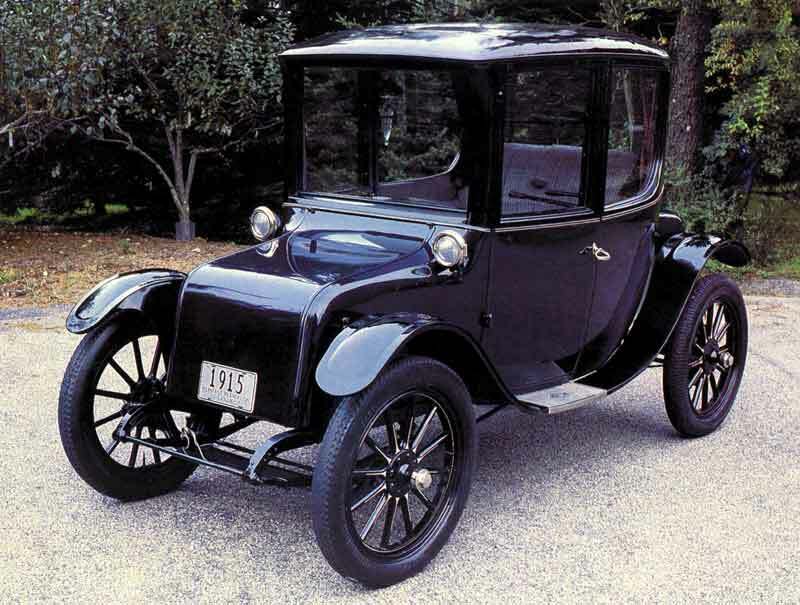 It is the earliest known Model 27 car to exist today. Earlier findings and commentary: This is an interesting car. It had been noted earlier as a Model 15 yet it is clearly built on a Model 22 chassis and has Model 22 running board and fenders. However, it does not have Model 22 headlamps, but rather, Model 15 headlamps. The S/N came from a 3rd party and needs to be verified, but assuming it is correct, this is a later Model 22 and so the headlamps being what they are seem to be a change made later by a restorer. On the other hand, it could be that this is a Model 15 body that was later mated to a Model 22 chassis. 2017 June Update: Heritage Museum staff shared info on this car. It turns out that Josiah K. Lilly III suspected that the Dietz headlamps and "parking lights" that were on the car when he got it were not original. A letter to Dietz asking about this resulted in Dietz indicating no records of having supplied Milburn with lamps. So these lamps may have been on the car before Josiah's wife Josephine bought the car for him in Feb. 1965. The prior owner, Mrs. Beatrice H. Wormelle of Falmouth, Massachusetts may have had that done. Also, letter correspondence with GE from Josiah regarding the car's electric motor shows that the motor was shipped from GE to Milburn on Sept. 8, 1916. So this car is either a 1916 or a 1917 car. It could even be a Model 27 instead of a Model 22.